Users who like "March Of The Women" sung by Elizabeth Johnson is Spirit of 1776 feature at Suffrage Wagon Cafe! Users who reposted "March Of The Women" sung by Elizabeth Johnson is Spirit of 1776 feature at Suffrage Wagon Cafe! 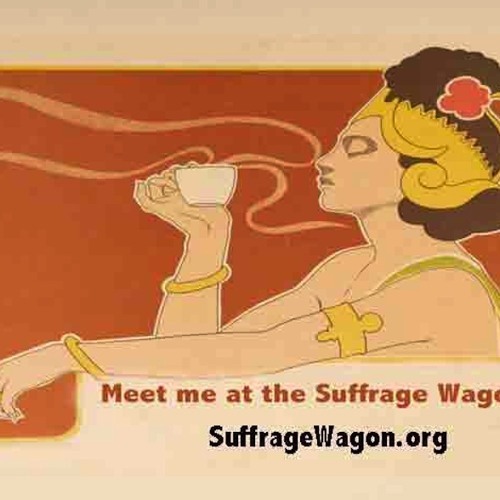 Playlists containing "March Of The Women" sung by Elizabeth Johnson is Spirit of 1776 feature at Suffrage Wagon Cafe! More tracks like "March Of The Women" sung by Elizabeth Johnson is Spirit of 1776 feature at Suffrage Wagon Cafe!